I decided to do another burpee for my 44 today. I tried a new one – a burpee jack. Jump back to plank but jack your feet out as you do your push-up. Jump in and do a standing jack. Repeat x 44. This was a great move for really getting my heart rate going!!! I followed the burpees up with 100 jumping lunges for the February challenge with Taylor. 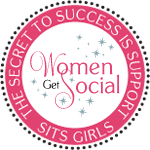 Then I did a 10-minute Solution DVD – Kickbox Bootcamp. I know that I haven’t been doing Michelle Bridges every day – it just works better for me to do it a few times a week! I don’t race much anymore for a couple of reasons. I have trained for a few marathons and every single time I ended up with a DNS because of a stress fracture. 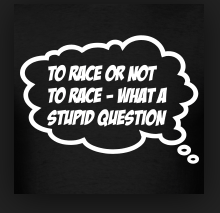 The 2nd reason I don’t race much anymore is more because of the changes that have taken place in the past 20+ years since the time when I did race a lot. During grad school and for a couple of years after, I raced all the time – mostly 10Ks but I did other distances, too. The longest was a half marathon. 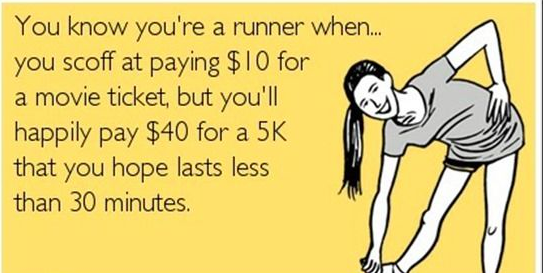 I used to pick a race almost every week and just go run on the weekend. There was no true training, no taper, no fuel plan – just me and my running shoes!! 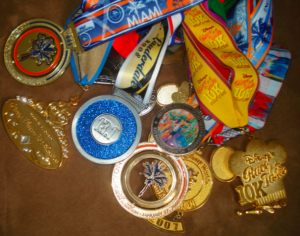 I have a box of medals and ribbons from those days but that was never why I raced. I just did it because I loved competing and pushing myself to go faster each race. I think we usually got a T-shirt as part of our entry fee – just a basic T (usually they were men’s – ugh). The good news – I think that $20 was the most I ever paid for a race. Most of them were only $10-$15!!! Now, I don’t think any race is under $30 and most are MUCH more!! Truthfully, I enjoyed the act of racing and didn’t need any swag or even a medal at the end. It has been interesting to watch the evolution of racing from what it was 20ish years ago to what it has become. 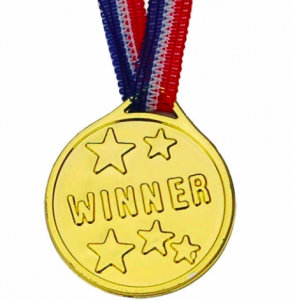 Racing is very expensive and all finishers get an award. I think I mentioned that Hunter wants to run a half marathon this spring since he is turning 13 in April. I’m all for him running (of course) but I asked him if he wants to just train and run the distance or run a race. 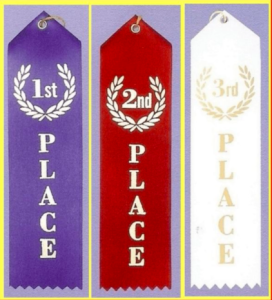 Would your run a race if you knew that only the top finishers would get an award?